Clifty Falls State Park is an Indiana state park on 1,416 acres (573 ha) in Jefferson County, Indiana in the United States. It is 46 miles (74 km) northeast of Louisville, Kentucky. On Oct. 27, 1920, citizens of Madison, Indiana gave the land for the park, 570 acres (230 ha), to the state of Indiana. A system of naturalist programs for Indiana state parks started in 1927, with Clifty Falls being one of the first four. 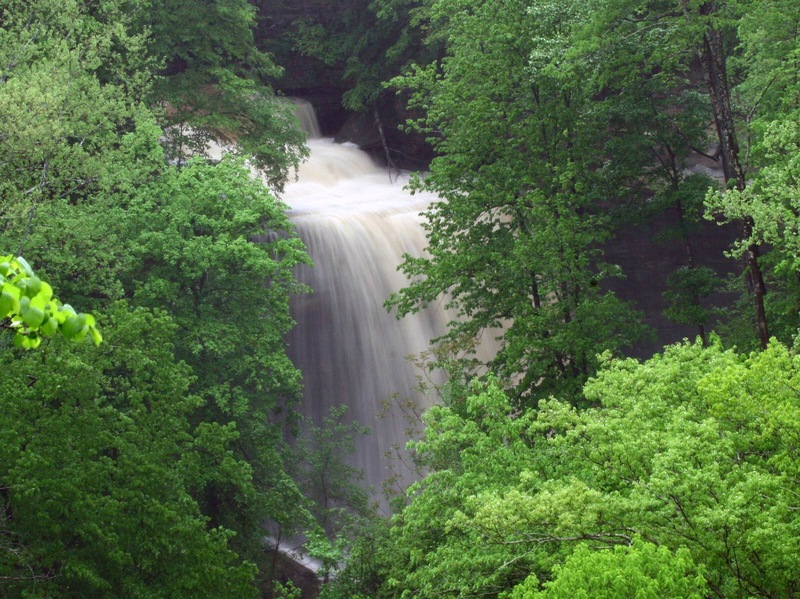 The park features Clifty Creek, Little Clifty Creek, and a canyon in which the sun only shines during midday. It has many beautiful nature trails, especially those that go near Clifty Falls. The Clifty Inn is available for overnight guests, and the park contains a campground with sites for RV and tent campers. There are both electric and non-electric camp sites set aside for riders who wish to stay at the park. For reservations call 812-273-8885.